This is a basic introduction to watercolor painting. 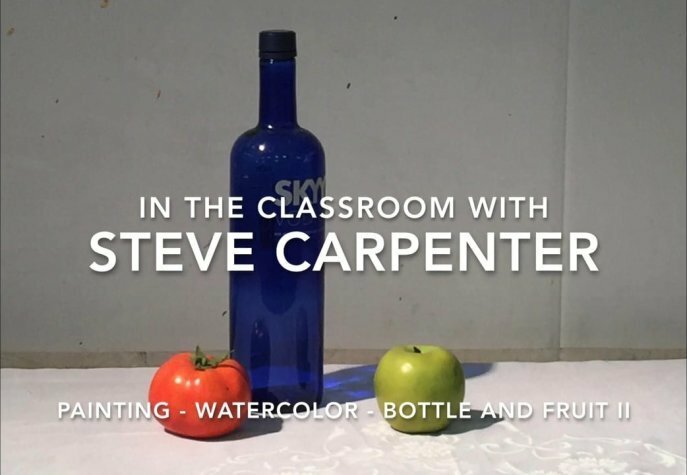 The video begins with a discussion about watercolor materials: palette, drawing pencil, colors, brushes, support, and other items necessary for the process. Although the subject is simple the concepts of placement, scale, and composition are important and are discussed. Many aspects of watercolor painting are explored: drawing techniques, design, color, application, brushwork, bleeding, feathering, value, background, and making correction. Both beginner and experienced watercolor painter will benefit from this watercolor instructional video.